Subscribe to our mailing list for the latest info on our tours - no spam, we promise! Have you tried one of our tours? 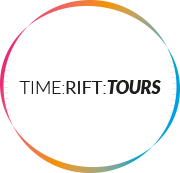 If you are interested in taking a tour, get in touch with us through the Book your tour page, and we will put you directly in contact with the best VR tours guides to get you travelling back in time! If you have any other questions, for example about investing in our company, collaborating with us on projects, or anything else that you want to share with us, us the form below and let us know what’s on your mind. Bringing history back to life.